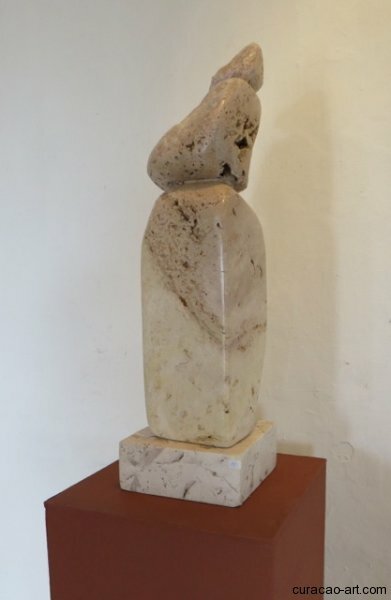 Poëzie in steen (Poetry in stone) is the title of the new art exhibition in Curaçao by sculptress Hortence Brouwn in Gallery Alma Blou. The opening takes place Saturday October 5, 2013 at 7 PM. Mrs. Jeanne-Marie Francisca, Minister of social affairs, labour and welfare will do the opening of the exhibition. Hortence Brouwn was born in Surinam and has been living in Curaçao since 1973. 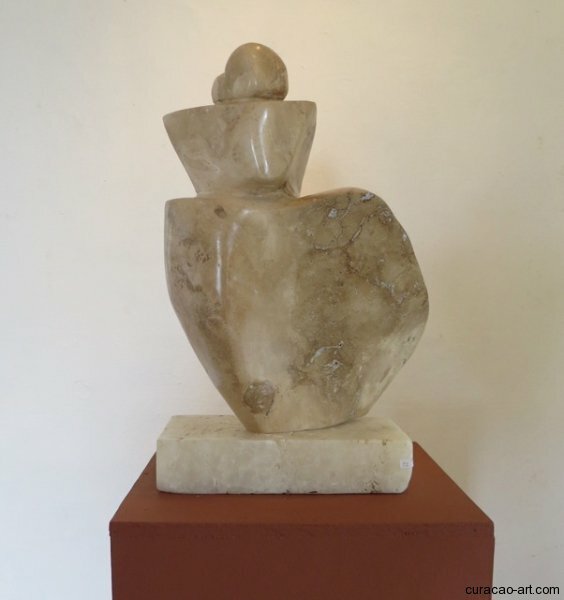 The human body, especially the female body, is the most important theme in her work. This new exhibition shows the female figure in different poses and situations. Sometimes the body is shown in a immovable posture but most of the time the figures are turning or caught in movement. Every angle gives a different view of the artwork. 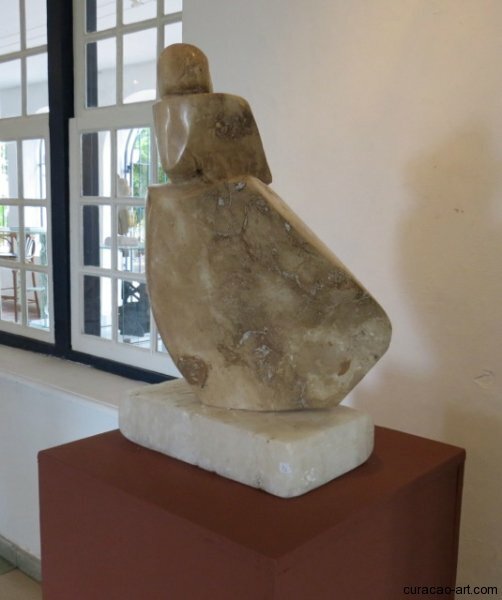 The artist works in bronze, Curaçao limestone and different kinds of marble. The most important feature in her work is movement, which she achieves by hinting at the motion. In her sculptures she has mastered the art of catching the viewer’s eye and guiding his sight, without elaborating on details. The colors of the material and the turns and twist of the different body parts in relation to each other, support the artist’s intention of movements in joy, tenderness and beauty. 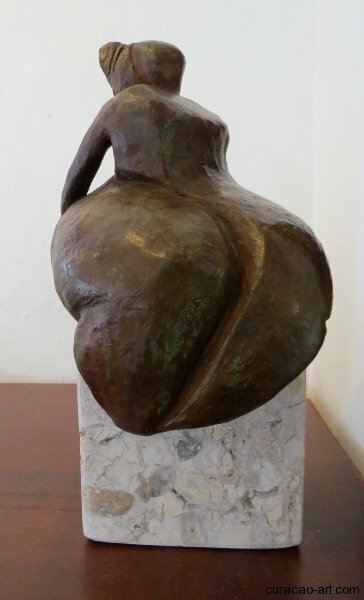 Hortence Brouwn has several sculptures in public spaces like the bronze ‘Big Mama’ at Kurá Hulanda or ‘Unity: Strength and Breath’ at Hato International Airport. Gallery Alma Blou in Landhuis Habaai, Curaçao.